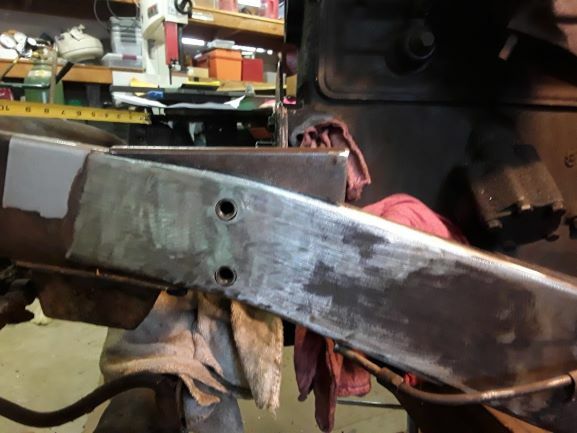 This thread will hopefully share my 1947 CJ-2A project with fellow enthusiasts. 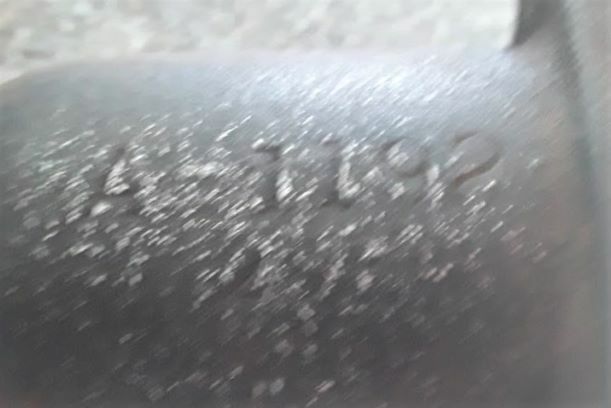 This 2A has been with me since 1961 ---a few days ago, LOL. 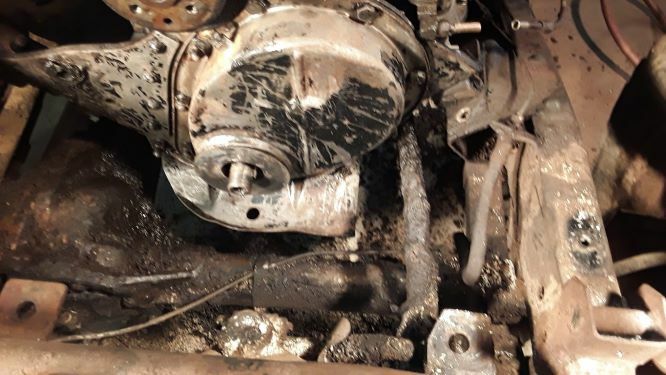 It ran until the starter went out over 20 years ago and sadly has been starving for attention ever since.. It is now time to fix her up. Going to start a little backwards but why not. First goal is to make this 2A meet today's driving conditions. So i'm starting off upgrading the brakes and steering while repairing/replacing external parts as needed. YOUR INPUT IS VALUABLE ON THIS QUEST SO PLEASE CHIME IN, I need all the help. 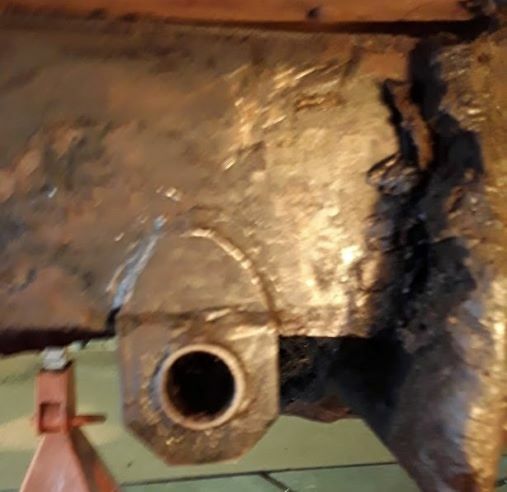 Starting off needing to replace the engine mounting plate from a 2a to a 3a. 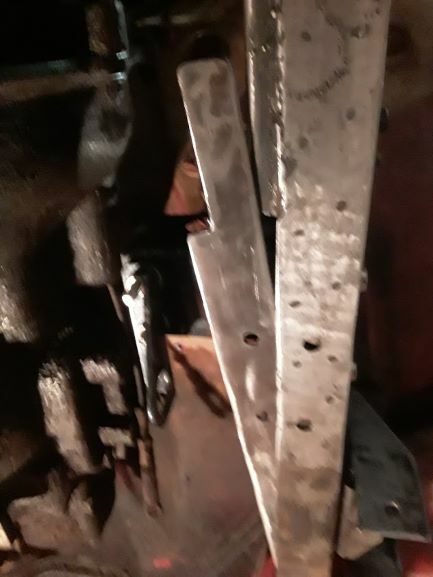 pulled the front clip off, removed the radiator, and now diving into removing the crank pulley, timing cover, timing gears, and then the plate. Could not find any numbers or lettering on the pulley. Lucked out, the pulley slide off by hand. 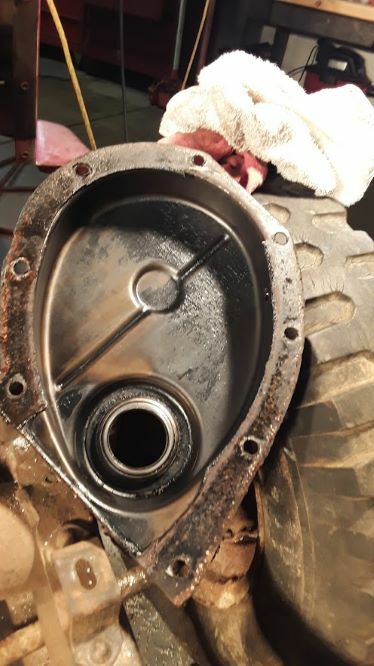 THE LARGE WASHER LOOKING THING SEEMS TO BE WHAT WAS RUBBING ON THE BACKSIDE OF THE PULLEY....???? 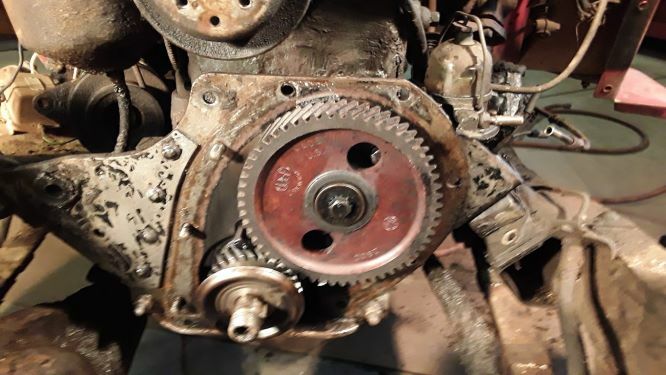 Surprised how clean it is inside, and the gears appear good....will remove, clean'um up and see. 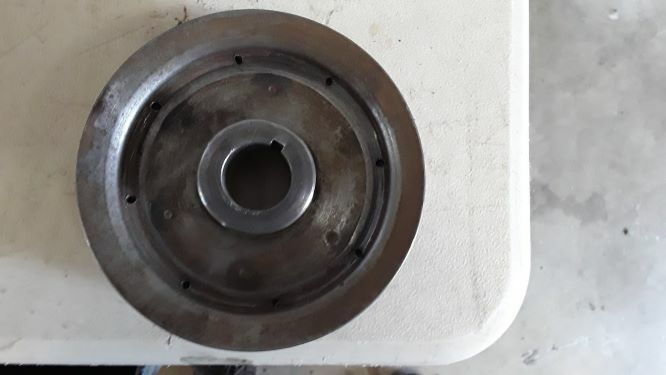 Concern, why is the pulley rubbing on the timing cover? What is that large washer thing? 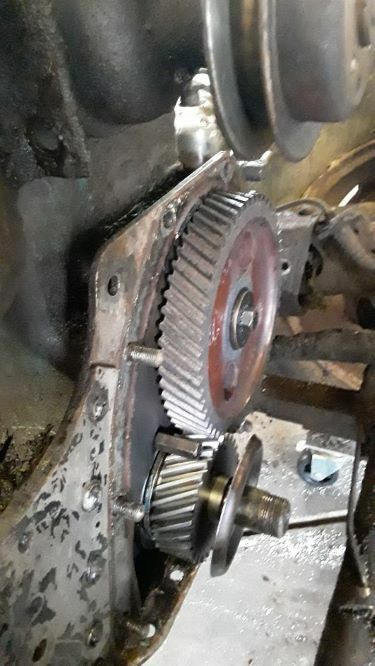 The gears do take a puller Jim. The cam gear can be especially difficult. 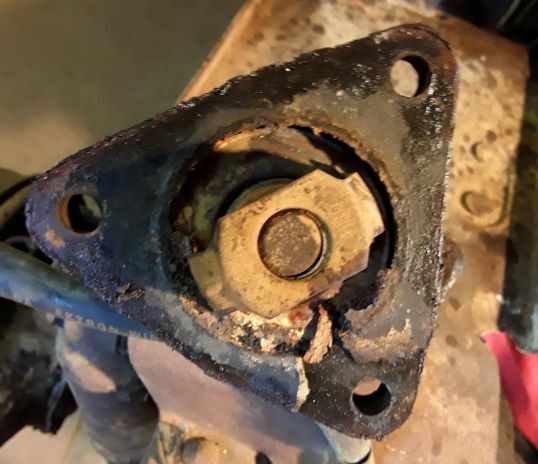 I used a 2 slot puller with 2 long bolts with the heads thinned and as big of a washer as I could get through the holes. 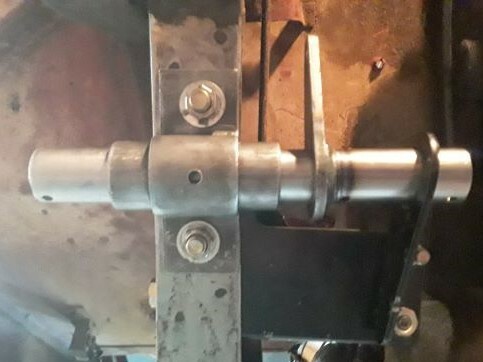 You have to have it turned just right for the bolt heads and washers to fit. I think it’s best to pull the valves and tappets first so the cam can turn as the gear is pulled. Should be easier on the fiber gear teeth. There are stories around about fellers trying to bar them off and breaking them. Thanks Mike for the advice. I need it. Seems I have lost all my flat fender manuals and I don't remember the "how to" stuff. I do have pullers and such...somewhere. OH, I did find my 1 3/8" socket, Napa was holding it ransom for $11.95. They shined it up real nice! LOL You know that you'll now soon find the old one right. Oh heck yeah, never fails. Had time to tear apart the clutch/brake assembly for the upcoming M/C conversion. I am using the R&P bracket with the Wildwood dual M/C. 1 I do not have to cut out or remove any existing brackets or plates. 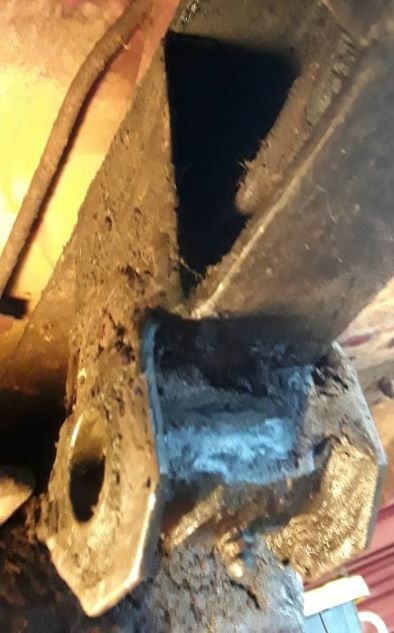 2 I need to cut off the clutch/brake rod bracket that's welded to the frame. Replace with a 3A type. Any idea what's needed? Here are pics of what my 2A looks like in the M/C area. After soaking, mild heating up, and dead blows on the three thermostat bolts, they came out without breakage. Bubba might have been a Italian? 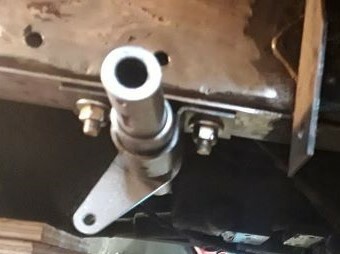 I have a new thermostat assembly coming from Walcks. 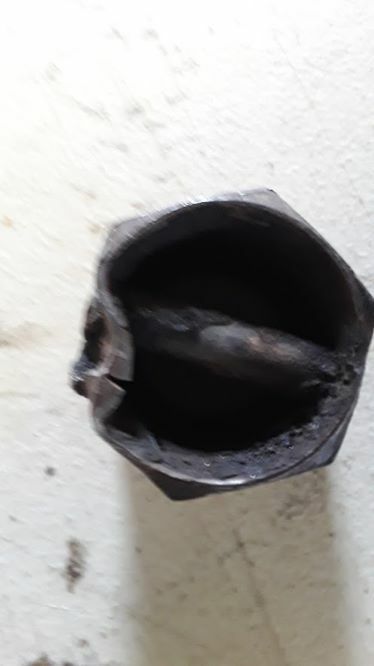 Cleaned up the thermostat housing and found the maker of it and the part #. Never heard of this company. Have you? Lots and lots of crud removal still. More mysteries. Jim, omg, i'd hate to have to dig through that crud with an "on-trail" repair. What company is R & P ? 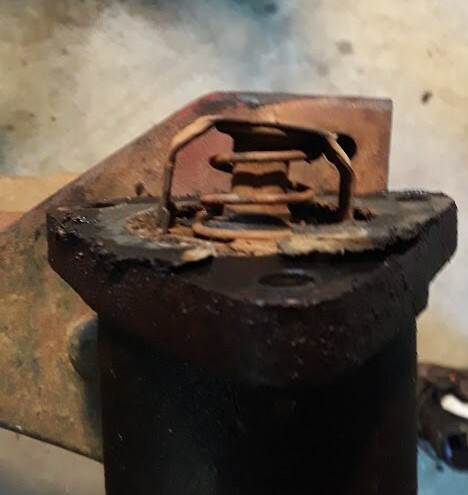 From looking at the bracket photos, I don't see much rust under the grease and oil build-up. 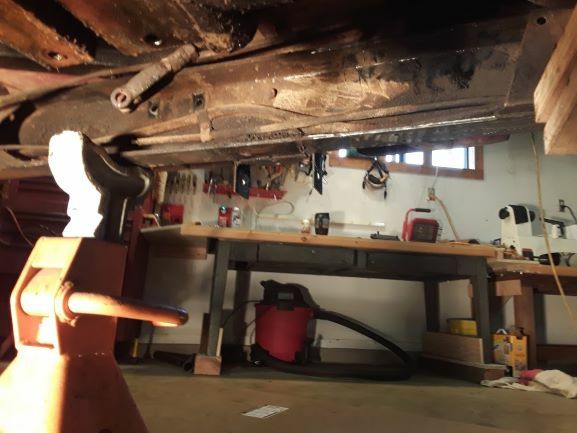 My dad always reminded me that if it is covered with oil, it won't rust. I am up here east of Anderson, California. Back in the '80's and '90's the last stop for supplies before assaulting the Rubicon trail was Placerville. Beer and Ice _ _ _ and goodies. 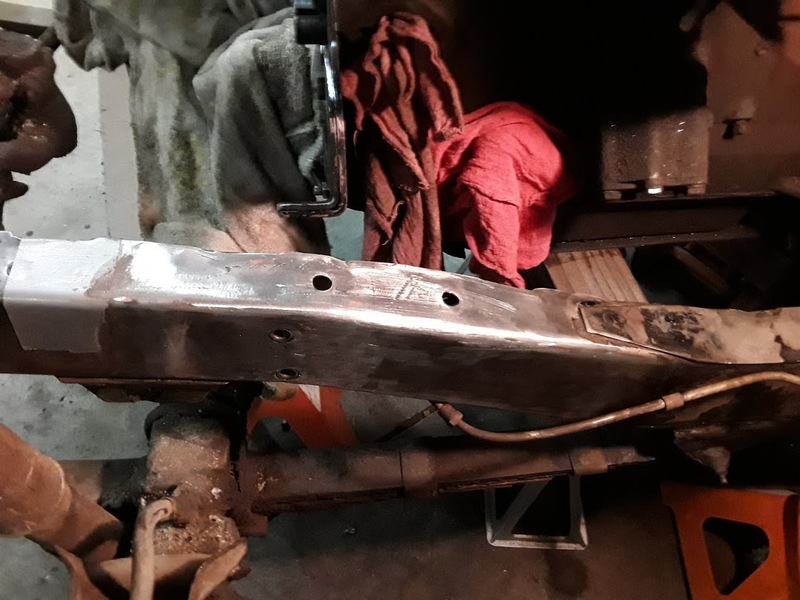 Well, just like with you, it has been 34-years since my last Willys refurb, 1984, and I have forgotten everything about how-to do most of the components, but am now on a "Re-Learn" with another '46. Does PartsMike have a parts-room at his business do you know ? It is good to hear you are on-tap with a refurb. 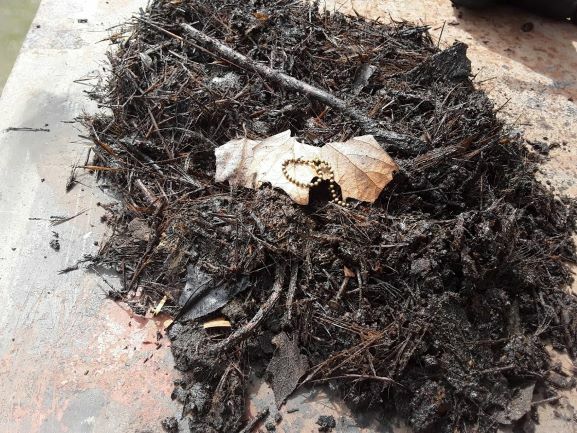 Finding, what a first thought to be a rats nest, turned out to be debris from using the 2a in the groves. Brought back driving it....hard work, and a little rat patrol as well. 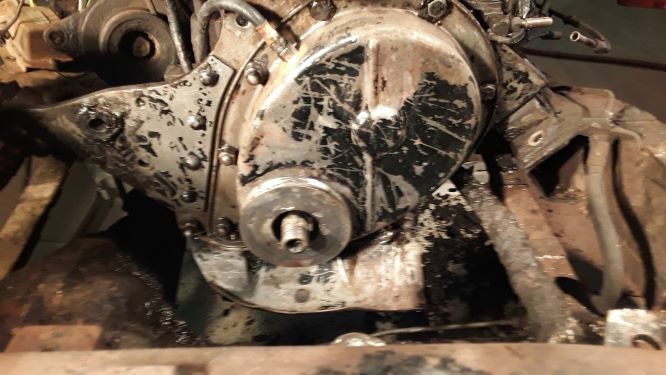 I used to say to friends, oil leaks is my rust proofing. As mentioned else where in here, this 2A has been with me since '61 and its now time to clean her up. R&P 4WD is out of Oregon. He makes disc brake conversions...uses Suzuki rotor and S-10 calipers. M/C dual brake kit, and more. EWillys has a write up. if up my way, stop by!!! Picked up this vintage tool. Should work fine for a L-134. 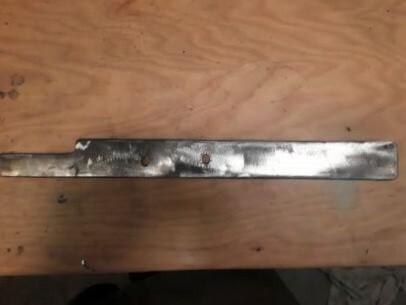 it is made by Wilde tool. 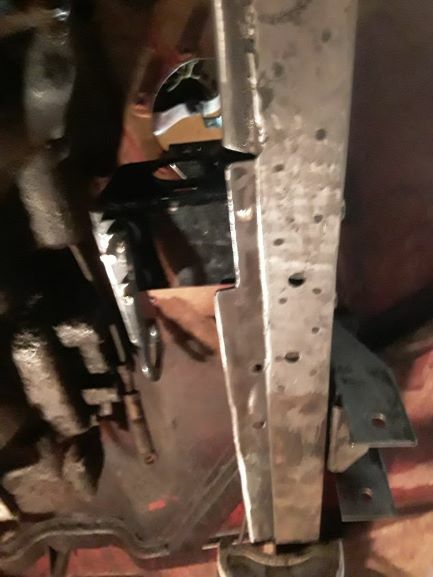 Was able to remove clutch/brake frame bracket today. 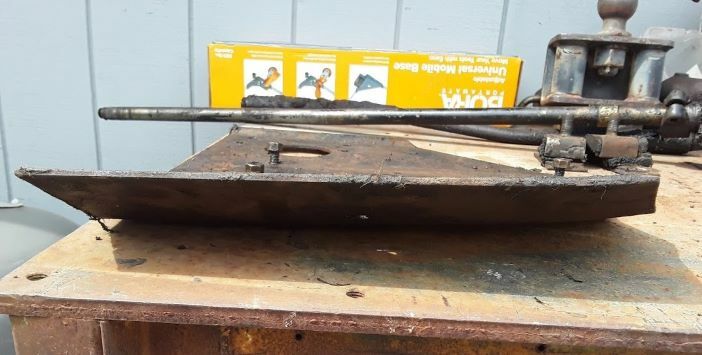 BUBBA CLUTCH LINKAGE REPAIR, how does one bend or break this rod? Received a box of parts from Walcks today and also my Wildwood M/C. Lots of scrapping to do still. Single lever Dualmatics. Those must be pretty rare. Amazed to find the bolts safety wired. What usually happens is that one of the short ends breaks off. Then you replace the whole rod and another end breaks off. Then you just take the two ends that are still good and you put them together somehow. I simply welded my two good halves together. 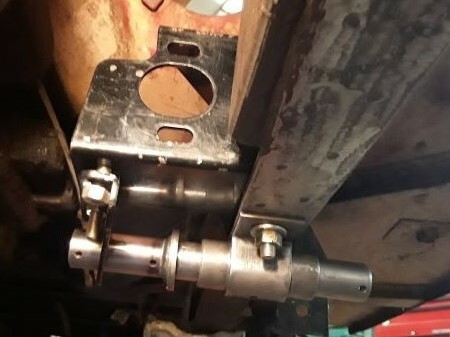 Had time to mount the 3A type clutch/brake bracket that mounts to the bottom frame rail. Also drilled the holes for the dual master brake bracket. 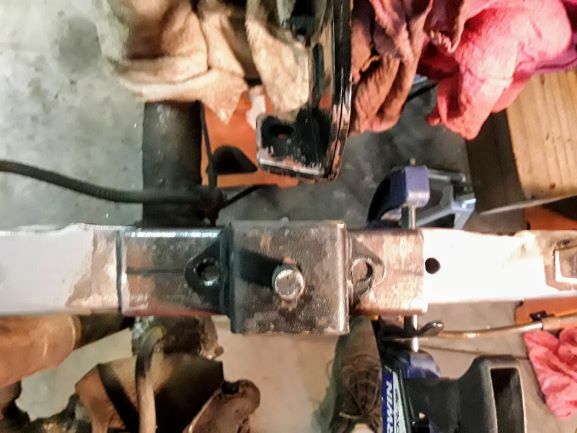 clamped new bracket to the frame. 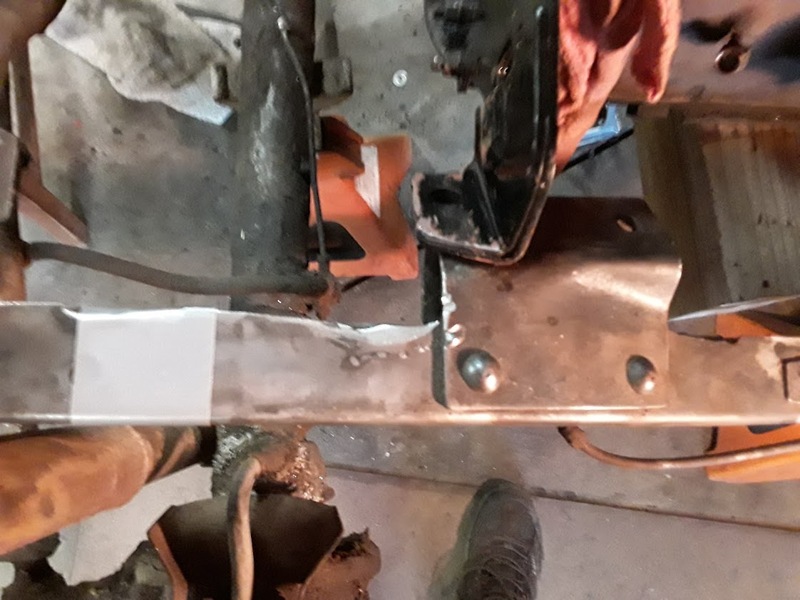 Marked the holes for drilling and proceeded to remount the bracket. 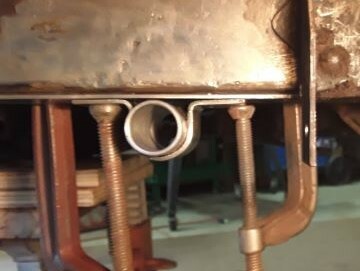 You can drill the dual M/C bracket from the outside of the frame. Makes it easier to do. 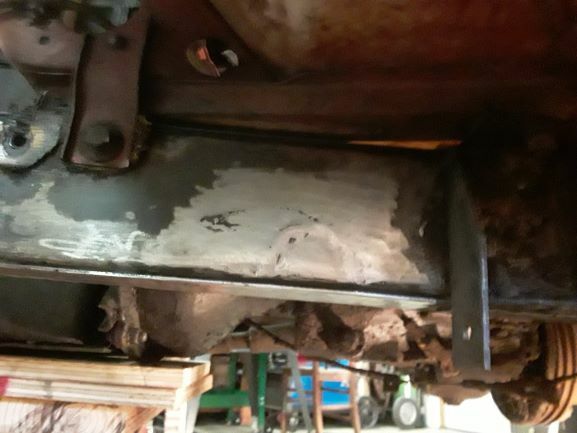 Bottom view of the brackets. This time the M/C bracket is inside the frame rail, right where it needs to be. Bottom view, from the front, of the assembly. Still have to install a frame stiffener, like the 3A has. Worked on the "frame stiffener" today. 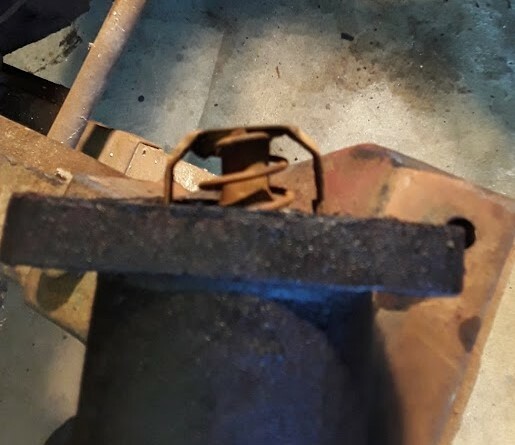 By viewing pics, it seems later CJ's, M38's, ETC had a extra piece of metal that helped support the Clutch/brake pivot bracket. 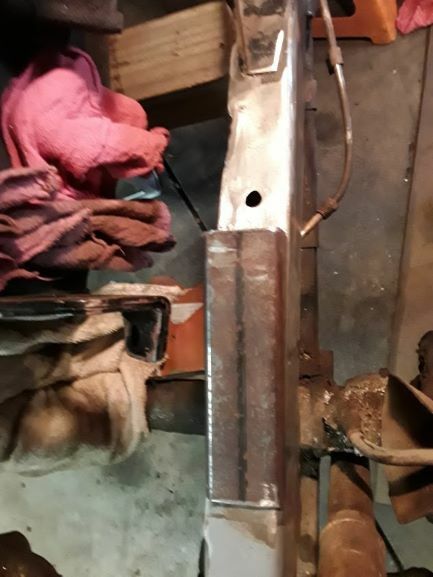 Since I removed the inside support plate and the welded pivot bracket "early 2A's" I chose to create a frame stiffener. 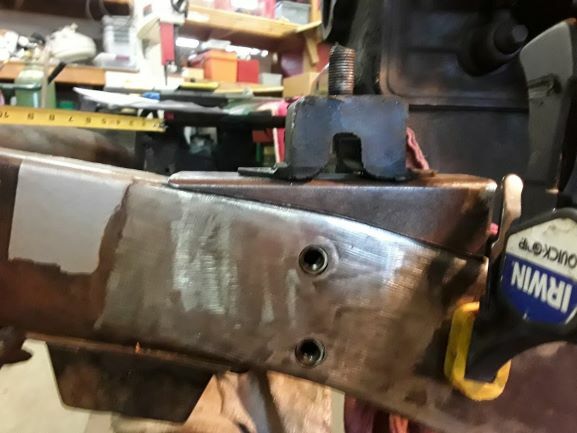 positioned the Stiffener for fit--notice that I notched it so as to slip behind the old M/C mounting plate. it also extends 4" past the cross member bracket. as well as the original. 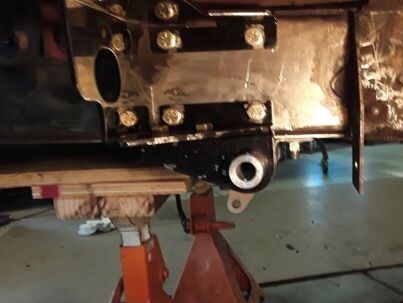 Been working on the drivers side motor mount modification. Also have replaced the 2a motor mount plate with a M38 plate. 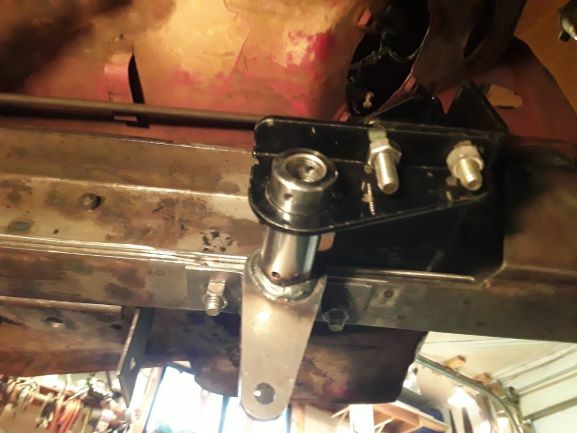 The M38 plate kicks the motor mount forward thus giving more room for a dual diaphram fuel pump. I believe 3A's, 3B's had this style as well. 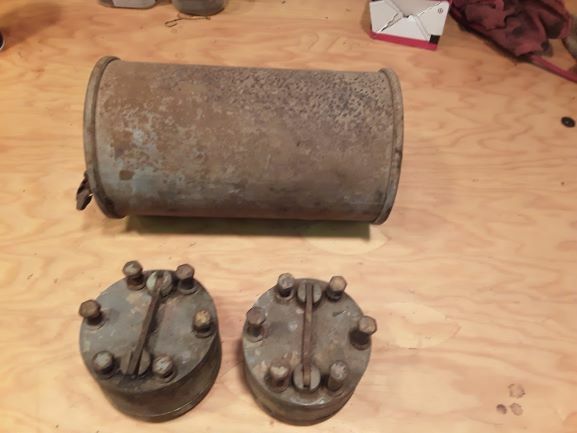 My want to install Saginaw steering is the reason to use a M38 plate. Will get into the steering conversion soon. This is the same basic mod and conversion that "bkwudz/Paul" did. 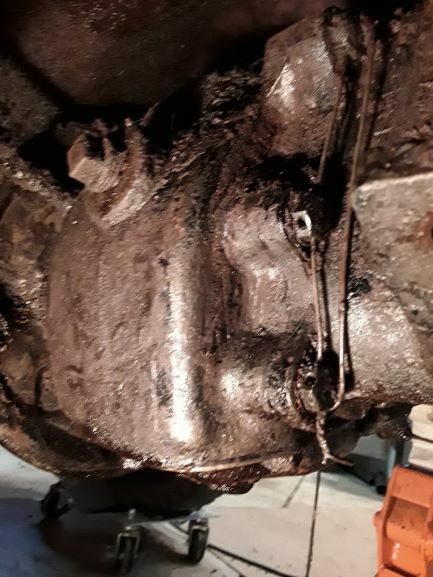 M38 plate---notice motor mount ear faces forward. 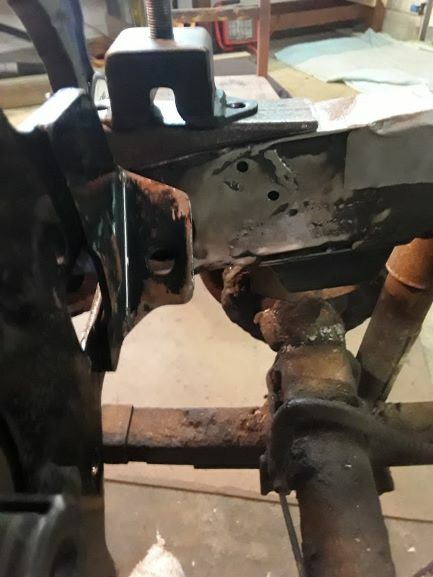 Had fun removing the old motor mount frame bracket. 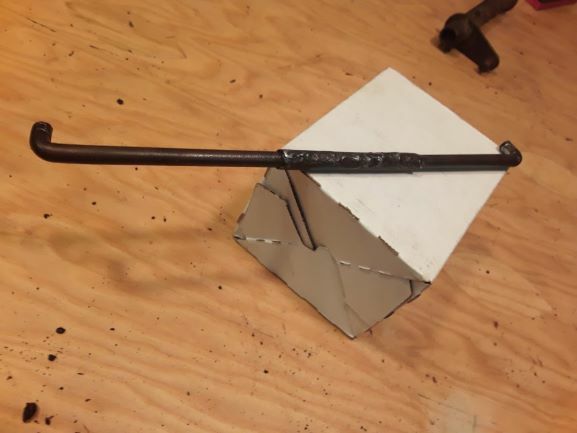 Darn thing was riveted and then welded. 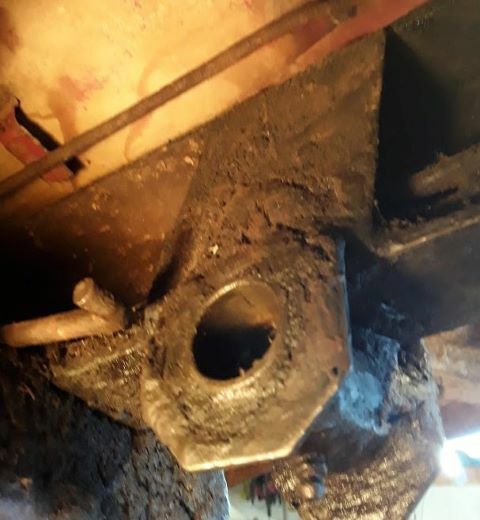 Also removed the brake line bracket. used a piece of 1 3/4" square tubing to make up the base of the new motor mount. 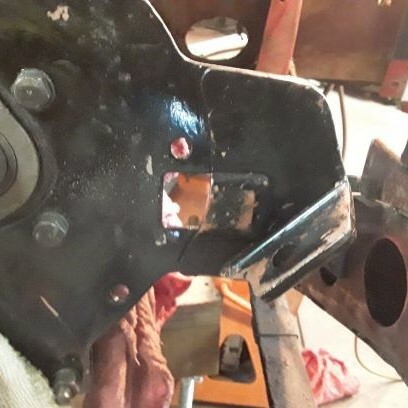 Still need to make up the other half of the new motor mount bracket that will bolt to the M38 plate. A lot to do yet!